Check out these cute, yet daring baby goats as they jump around all over the place. Baby goats are super cute to begin with but they're even more adorable when they hop around! This learned behavior is called stotting. Animals such as deer, lambs and gazelles do this. 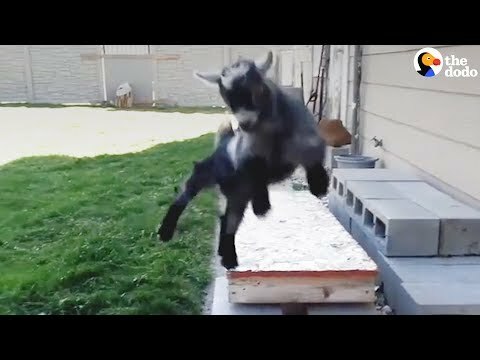 There are a lot of videos of there of baby goats jumping but this one is the cutest! Be sure to click the link below to watch. Baby goats hopping all around like little bunnies! This dog can paint, play piano and more!